Liquid hand wash soap. 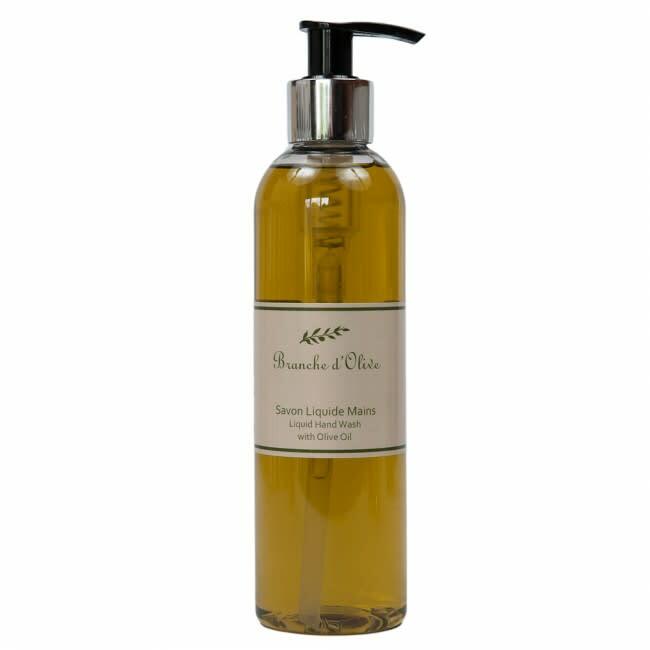 A recyclable bottle with chrome collared pump containing a Branche d'Olive foaming hand wash which gently cleanses the skin, leaving it delicately scented. Citrus top notes edged with jasmine, rose and woody musk. Hall And Co in Sevenoaks, United Kingdom.